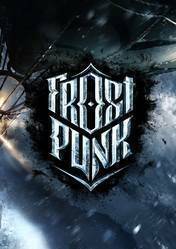 Frostpunk is a title of strategy and management that puts us at the forefront of a human colony in a post-apocalyptic future, in a world devastated by the cold. In this icy future, humanity has succeeded in developing a steam-based technology to cope with the appalling cold. We will be in charge, and responsible, of managing the inhabitants and workers, as well as the infrastructures, resources, technology, research and everything necessary to combat the cold cold. Each game generates random events that will test our sense of duty and justice, and bring out the most negative side of ourselves, to the point where we have to put children to work in order to have more manpower. Morality is a bad virtue in this devastated frozen future. Here, the optimization and management of resources often conflicts with empathy and decision-making. The outside world not only hides remnants of the past, but also opportunities that can secure the future of your people, so exploring and investing in technologies that allow us to map and track everything that happens on the map will be crucial to the survival of our colony. Additional Notes: Please make sure that you have the latest VC package installed, and - if you're using Windows 7 or 8 - that you have the KB4019990 update applied. Tricky game, But definitely an interesting one. I don't know many management survival games that went for this theme but it works! Though I personally found it quite difficult.